Grammy-nominated trombonist-composer Alan Ferber has been called “one of the jazz world’s premier composers and arrangers for larger groups” by All About Jazz NY and L.A. Weekly deems him “one of the premier modern jazz arrangers of our time.” For the last six years, he has been recognized as one of the leading trombonists of his generation by Down Beat magazine. He has released six albums as a bandleader, and has new eight-movement piece for his working nonet called “Roots & Transitions” is scheduled for release in 2016. “March Sublime” (Sunnyside, 2013) features original compositions and big band arrangements and was nominated for a 2014 Grammy award in the ‘Best Large Jazz Ensemble Album’ category. “Music For Nonet & Strings” (Sunnyside) was named one of Down Beat’s “Best CDs of the Year.” He has performed and/or recorded with Esperanza Spalding’s Radio Music Society, the Dr. Lonnie Smith Octet, the Ted Nash Big Band, Todd Sickafoose’s Tiny Resistors, Miguel Zenon’s Identities Big Band, the Toshiko Akiyoshi Jazz Orchestra, the Charlie Hunter Quintet, Michael Formanek’s Ensemble Kolossus, the David Binney/Edward Simon Group, the Lee Konitz Nonet, John Ellis’s Double Wide, the John Hollenbeck Large Ensemble, and Don Byron’s Mickey Katz Project, Peter Gabriel, Paul Simon, Sufjan Stevens, The National, Dr. Dre, Harry Connick Jr, Michael Buble, and Beirut. He has played and/or composed music on over 150 CDs but his accomplishments extend well beyond his recordings. Recent composer-arranger commissions include Kopi Luwak (2013) and Luteous Pangolin (B Monder) written for the Atlantic Brass Quintet (and released on their 2014 album Crossover on Summit Records); Lost In The Hours for the saxophonist Paul McCandless; I Sing For You (N King) and I Get Along Without You Very Well (H Carmichael) for Sara and Rachel Caswell with the JazzMn Orchestra; Hyperballad (Bjork) for the Bang On A Can’s Asphalt Orchestra; and nine arrangements for Korean Sony recording artist Youngjoo Song’s upcoming 2016 release. Ferber was the recipient of a 2013 New Jazz Works grant from Chamber Music America. He is an Adjunct Professor at NYU’s Steinhardt School. 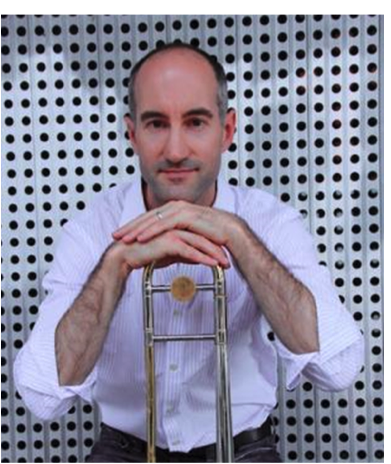 In addition, Ferber has taught at the John J Cali School of Music at Montclair State University, the Peabody Institute at Johns Hopkins University, and the New School for Jazz & Contemporary Music. He often works on the faculties of summer jazz programs in Taipei, Maine, Portugal, as well as Lafayette Summer Music Jazz Workshop and others. He has appeared as a clinician and soloist at numerous universities.